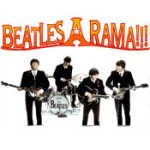 Beatles-A-Rama: a 60s, Beatles, Classic Rock radio. Posted in 60s, Beatles, Classic Rock. Tagged with Beatles, Beatles Radio, George Harrison, John Lennon, oldies, Paul McCartney, Ringo Starr, The Beatles Channel.